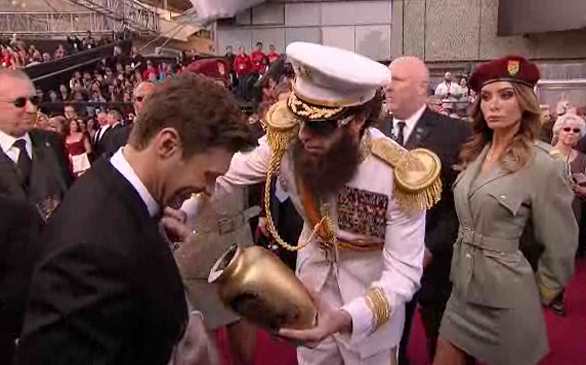 Ryan Seacrest getting ashed by Sacha Baren Cohen at the Oscars..
After all the buzz, Sacha Baren Cohen got his way of receiving free publicity for his upcoming film The Dictator. Cohen, who was being interview by Ryan Seacrest, did the unthinkable; he dumped "ashes" on Seacrest's tuxedo. This article has been viewed 1184 times.